Adductor Brevis is a triangular muscle which occasionally peeps in the floor of the femoral triangle between pectineus and adductor longus. The origin of adductor brevis muscle is from the anterior outermost layer of the body of pubis and the outer surface of the inferior ramus of pubis in the period between the gracilis and the obturator externus. 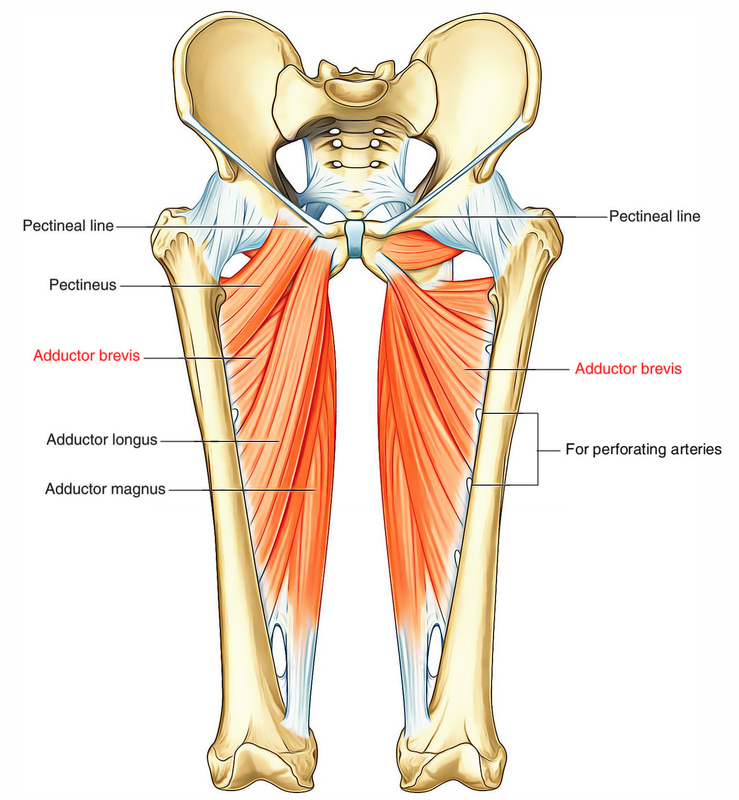 The adductor brevis muscle enters downward, backward, and laterally to be added along a line stretching from the lesser trochanter to the upper part of linea aspera, behind the pectineus and upper part of the adductor longus. The adductor brevis muscle is normally supplied by the anterior section of the obturator nerve but sometimes it can also be supplied by the posterior section of the obturator nerve.